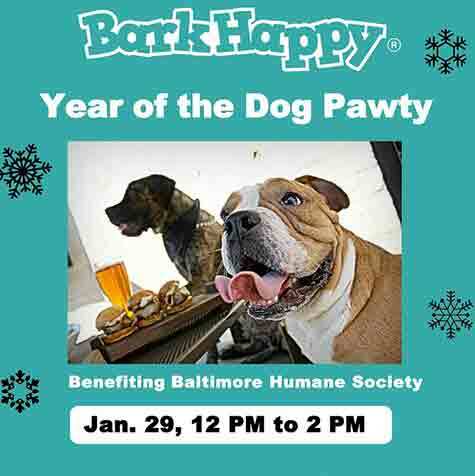 Join us to celebrate 2017 at our BarkHappy Year of the Dog Pawty to benefit Baltimore Humane Society! Free dog massages, treats and toys. Humans enjoy free food samples and mixed drinks!